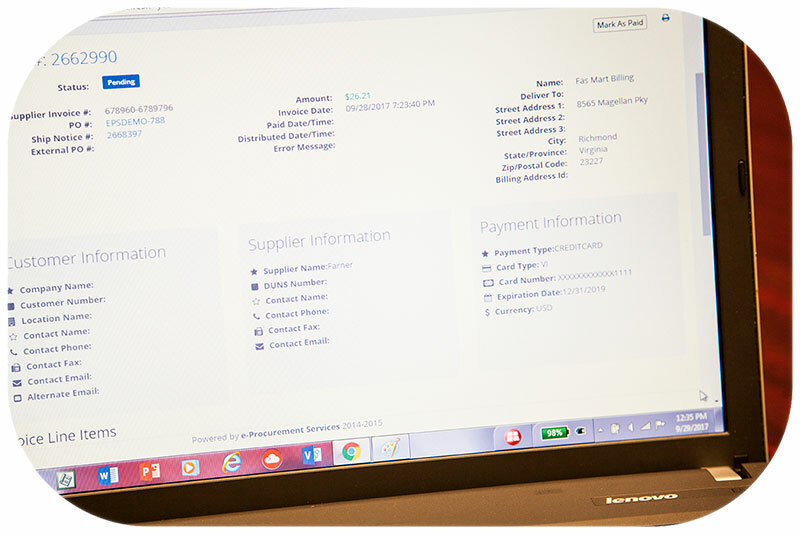 ePS (eProcurement Services) is a cloud-based eProcurement platform that can serve as an essential partner to your P-Card program. We are CISP-certified and PCI-compliant which represents the highest level of security awarded by the credit card industry. This means that we not only securely store credit card /P-Card information but securely pass the card information on the Purchase Order to your supplier, and then we process the credit cards on your behalf ensuring that your P-Card information remains secure and protected from fraud. Each supplier uses our platform to receive purchase orders and send invoices, which guarantees customers that Level III line item detail is passed on every invoice. Eliminate or reduce information management typically handled through an intranet and email communications. Quickly generate Monthly transaction logs, match to monthly credit card statements and turn in for payment. Simplify and streamline an often tedious and time consuming process. P-Card data is encrypted immediately upon entry to the ePS platform – information is not available to anyone. If a user leaves the organization, access can be immediately and easily disabled. 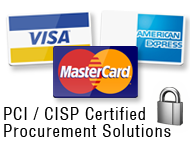 Card information is secure and encrypted on the order. No calling the supplier with card information or sending via email or fax. It's hard to believe that these practices remain in common use today and are highly susceptible to fraud.